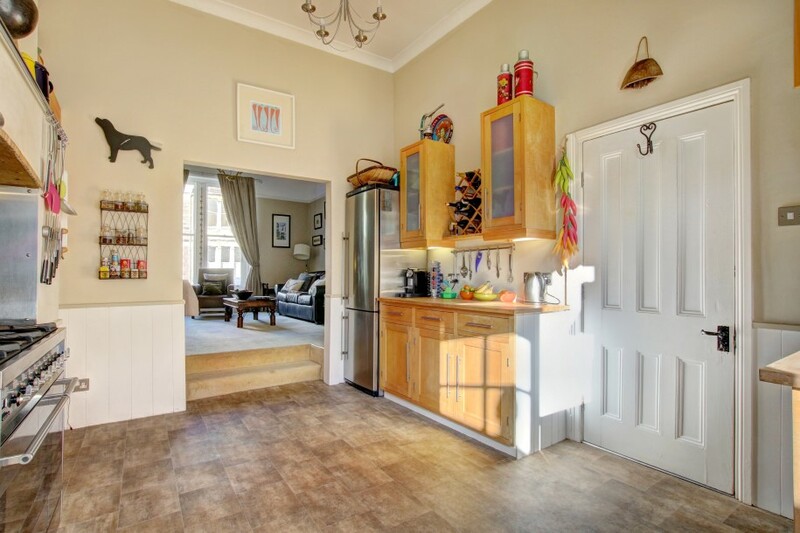 An attractive and exceedingly spacious hall floor garden apartment. Circa 1,250 sq. ft., having both private and communal entrance. 3 double bedrooms in total. Sitting room (16ft x 14ft) with wide wall opening through to kitchen / breakfast. There are only three apartments within the building and four parking spaces. South facing walled garden (35ft x 28ft) with sitting out area. Off street parking for one car, plus spare parking space for building residents. Dogs are permitted in the buildings - close to Durdham Downs. Near to Westbury Park Primary and Redland Green Secondary. To be sold for the first time in nearly 20 years, very rare opportunity. 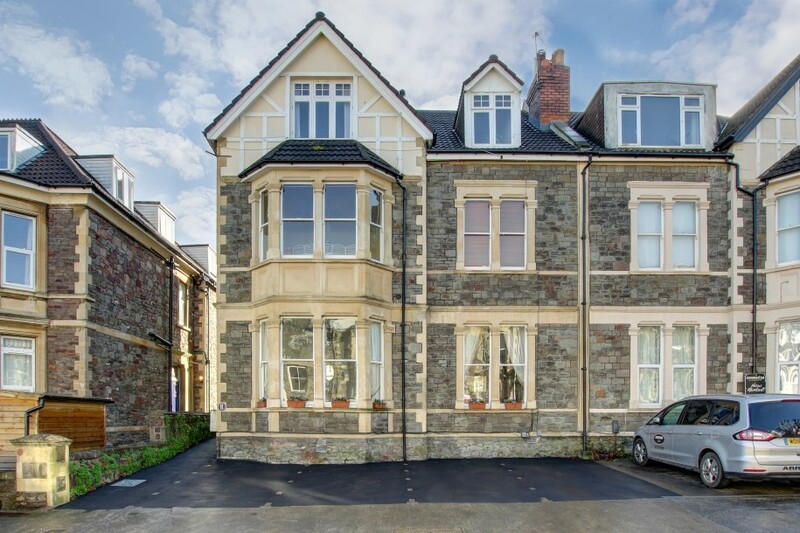 An attractive and impeccably presented, 3 double bedroom, hall floor garden apartment, of circa 1,250 sq. 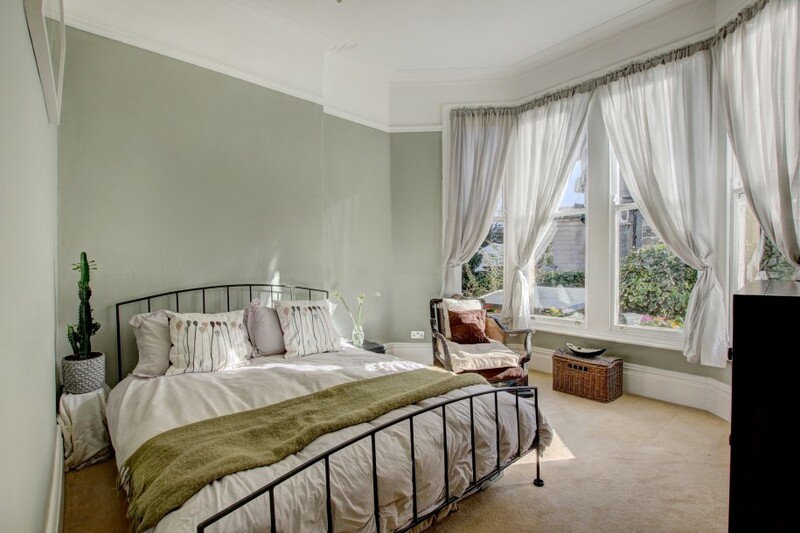 ft., set within an imposing Edwardian period building on the doorstep of Durdham Downs. Further benefitting from private and communal entrance, south facing rear garden and off-street parking. 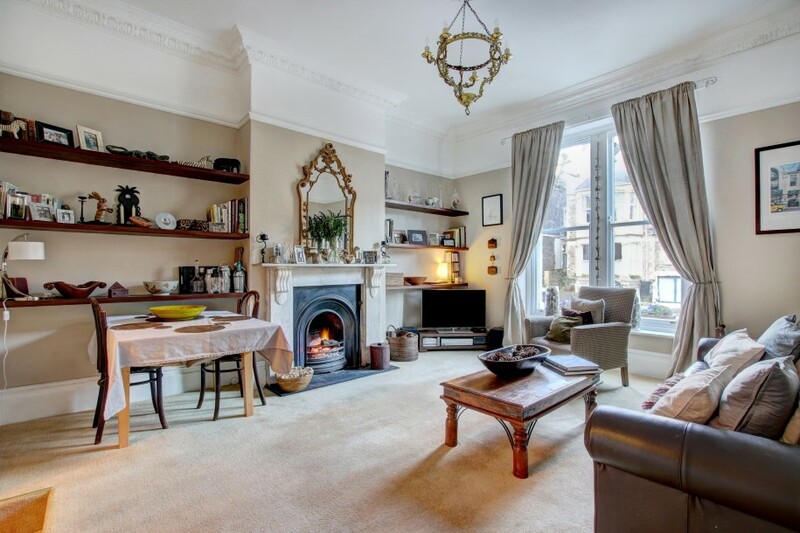 A well-proportioned apartment that boasts an impressive (16'3 x 14'3) sitting room with high ceiling, working period fireplace, two tall sash windows to the front elevation and fitted bookshelving. 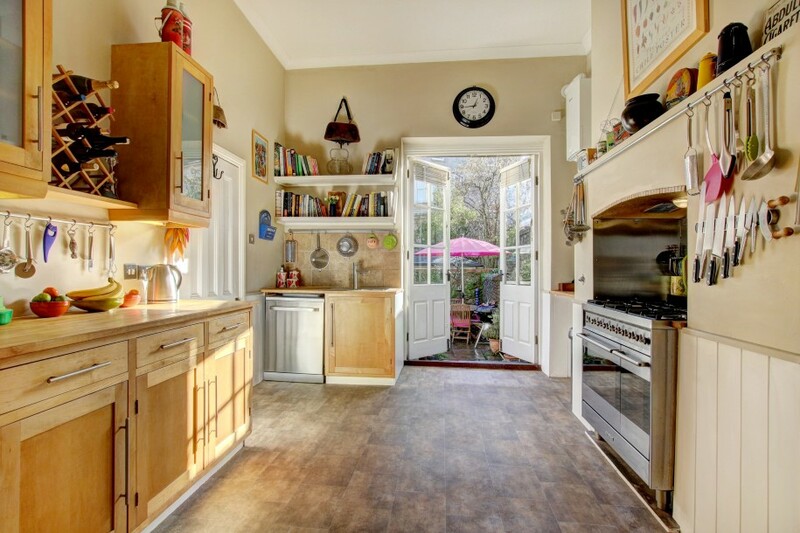 There is a wide wall opening to a spacious (13'5 x 10'11) kitchen/breakfast room with tall part multi-paned south facing double doors overlooking and opening externally to the private rear garden. Two good sized double bedrooms conveniently situated to either side of the family shower room and both with wide bay windows. On the lower ground floor there is a third double bedroom (currently used as a study). 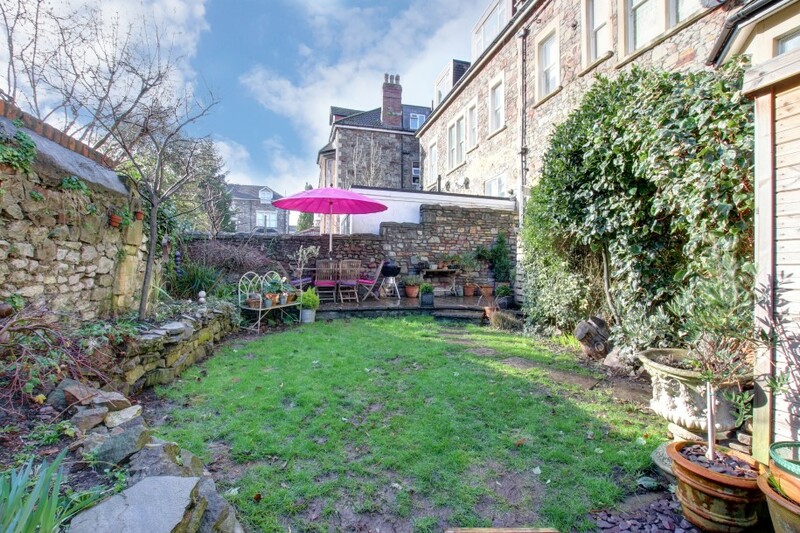 Situated in the leafy fringes of the Downs and set favourably for Blackboy Hill, Coldharbour Road, North View, Whiteladies Road and handy for Clifton Village and the city centre. Located within 250 metres of Westbury Park Primary School and 650 metres of Redland Green Secondary School. 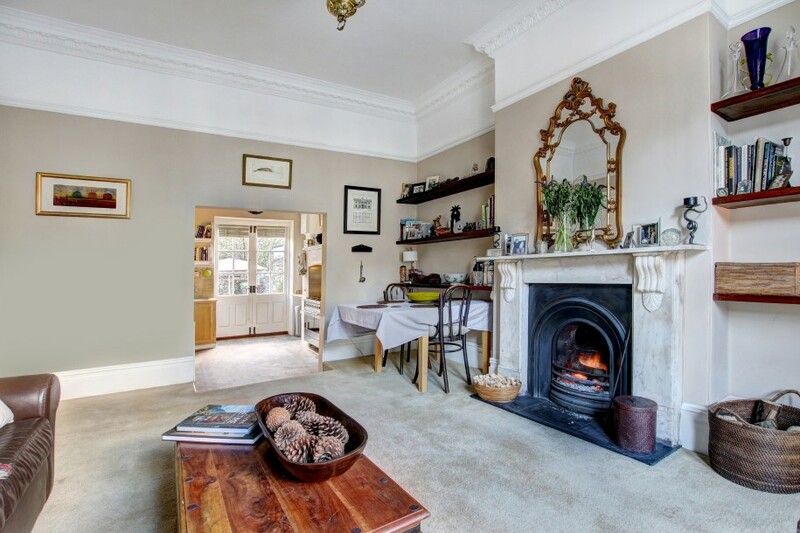 Exuding characterful features including tall sash windows, tall moulded skirtings, ornate moulded cornicing, period fireplace and exposed wooden floorboards. 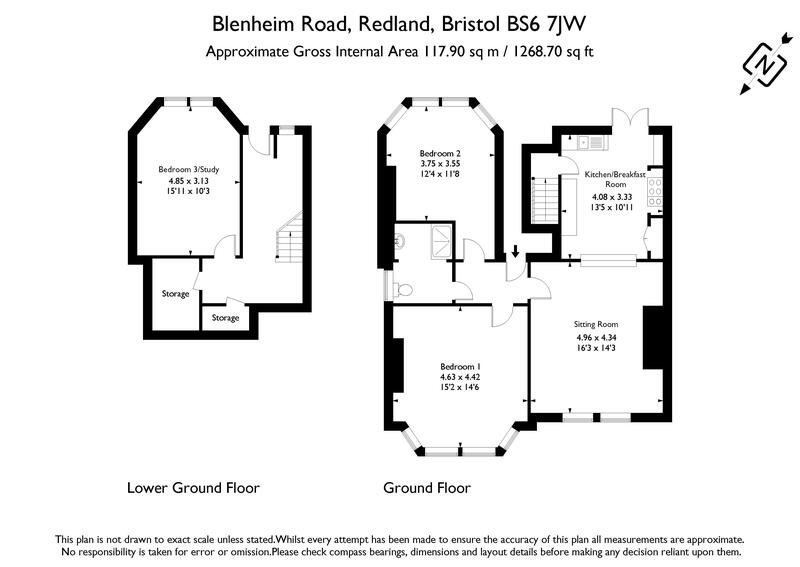 Hall Floor: entrance hall, sitting room, kitchen/breakfast room, 2 double bedrooms, family shower room/wc. 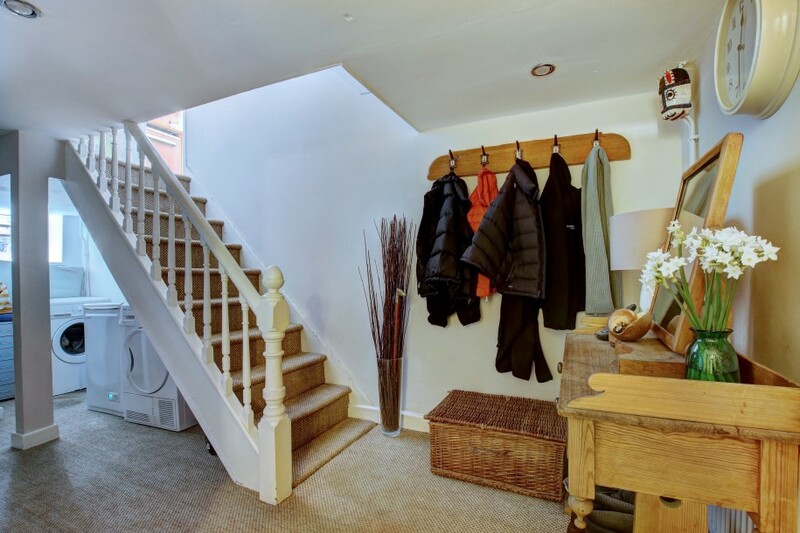 Lower Ground Floor: hall (with external access to rear), bedroom 3/study, two useful storage rooms, utility area. 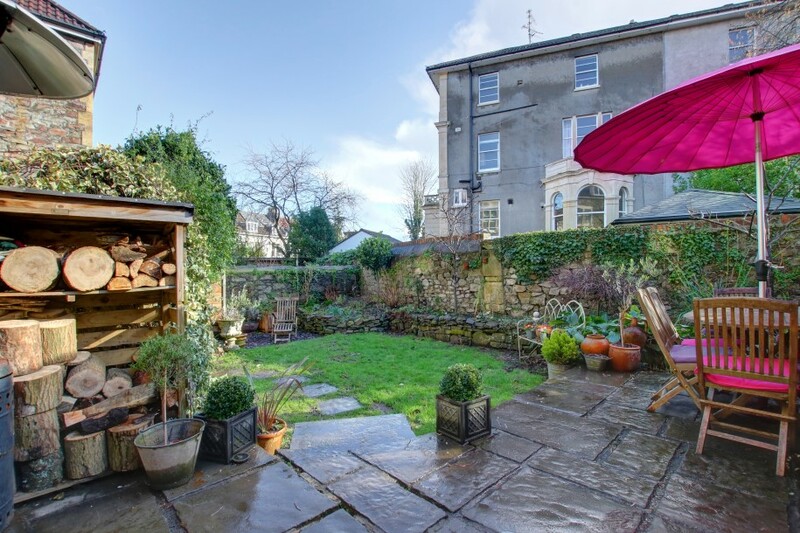 Outside: south facing walled garden (35ft x 28ft) with garden shed and patio. Off-street parking for one car and one visitors parking bay for the building. An immaculate period apartment with bright rooms and spacious accommodation literally on the doorstep of the Downs in a much sought after location. 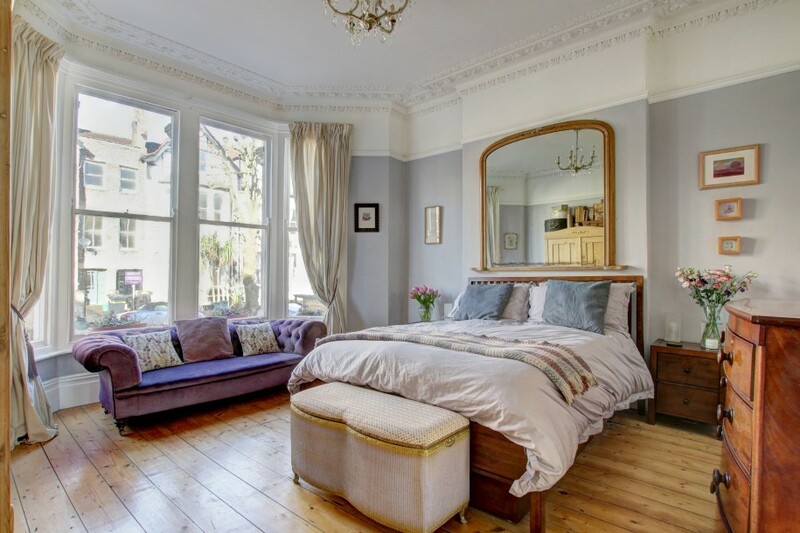 wide bay window to the front elevation comprising four tall sash windows, chimney breast with recesses to either side, exposed wooden floorboards, tall moulded skirtings, picture rail, ornate moulded cornicing, ornate ceiling rose, ceiling light point, radiator. virtually full width bay window to the rear elevation comprising four tall sash windows, chimney breast with recess to side, tall moulded skirtings, simple moulded cornicing, picture rail, ceiling light point, radiator. large shower cubicle with shallow shower tray, glass panels, glass door, wall mounted shower unit and handheld shower attachment plus overhead circular shower. Low level dual flush wc. Wall mounted wash hand basin with mixer tap plus towel rail and shelf below. 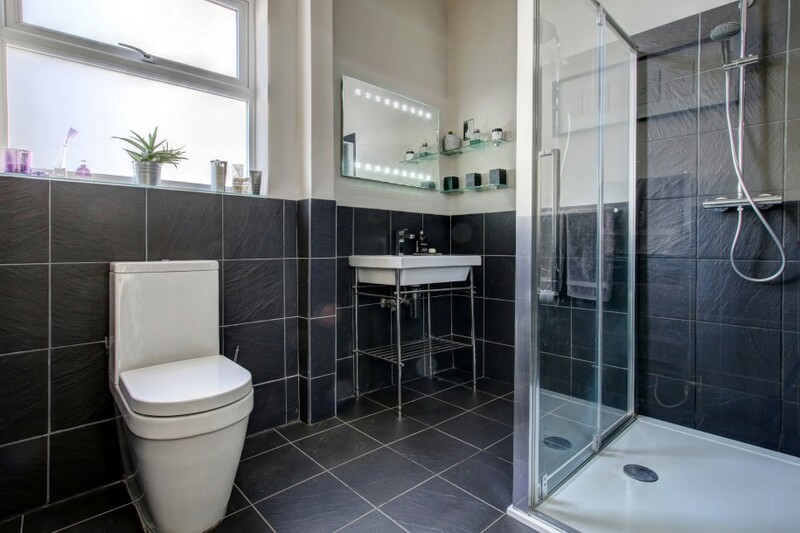 Tiled flooring with underfloor heating, tiled walls to dado height, obscure double glazed window to the side elevation, heated towel rail/radiator, wall mounted mirror with integral lighting, shaver point, inset ceiling downlights, extractor fan. Raised height opaque glazed window through to the entrance hall. (max ceiling height 6'1/1.85m) a pair of casement windows to the rear elevation, radiator, three wall light points, inset ceiling downlights. south facing walled garden with a section of lawn and paved patio to the side which offers ample space for garden furniture, potted plants and barbecuing etc., raised shrub borders featuring an array of flowering plants and mature shrubs including damson tree, quince tree, fig, hydrangeas and grasses. Picket gate to communal pathway, garden shed, outside lighting. Steps descend to lower ground floor level with external door opening to the hall. it is understood that the property is leasehold for the remainder of a 999 year (less 10 days) lease which commenced on 1 August 1977. This information should be checked by your legal adviser. it is understood that at the time of writing these particulars the monthly service charge is £35. This information should be checked by your legal adviser.